MANSFIELD — Community Health Screenings are free health assessments from Richland Public Health nurses for Richland County adults at locations close to home. 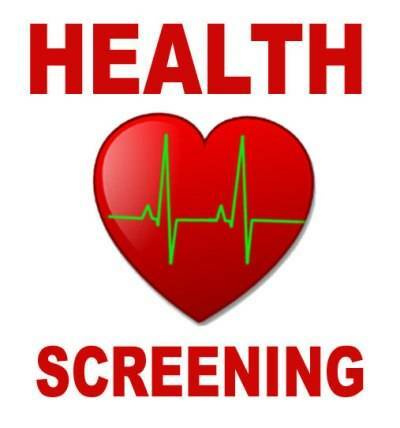 Community Health Screenings include the following: free blood pressure reading; free blood sugar check (3-hour fast recommended); free anemia check (hemoglobin and hematocrit); free education and referrals. Cholesteral checks are available for $12. A 9-12 hour fast is required. Monday, April 1, Friendly House 380 N. Mulberry St., Mansfield 10-11:30 a.m.
Wednesday, April ,3 Butler/Clear Fork Adult Center, 20 W. Henry St., Butler 7-8:30 a.m.
Monday, April 8, Madison Library, 1395 Grace St., Mansfield 9-10:30 a.m.
Tuesday, April 9, Masonic Temple,1250 Middle-Bellville Road, Mansfield 9:30-11 a.m.
Thursday, April 11, Springfield Township Fire Station, 3700 Park Ave. West, Ontario 9-10:30 a.m.
Tuesday, April 16, Richland Public Health, 555 Lexington Ave., Mansfield 9-10:30 a.m.
Thursday, April 18, Yes We Can Senior Center, 271 Hedges St., Mansfield noon-1:30 p.m.
Thursday, April 25, Lucas Community Center, 252 W. Main St., Lucas 9-11 a.m.
For additional information call Public Health Nursing at 419-774-4540. Community Health Screenings are partly funded by local tax dollars. Please contact the public health clinic for pricing for children and adult vaccines. Richland Public Health participates in the federally-funded “Vaccines for Children” program. No child is denied vaccines due to inability to pay (donations are accepted). Wednesday, April 17, Shiloh Village Hall, 13 W. Main St., Shiloh 9:30 a.m.-noon. Immunizations also are available weekdays at the Richland Public Health clinic: Mondays– Fridays Richland Public Health, 555 Lexington Ave., Mansfield 8 a.m–4 p.m. on Monday Tuesday, Thursday and Friday; They are available Wednesdays from 9:30 a.m.-6 p.m.
No appointment required. For updated immunization scheduling information call our hotline at 419-774-8115. Neighborhood Immunization Clinics are partly funded by local tax dollars.